The Right Balance of Strength, Love and Joy- An Interview with Mrs. Rajeswari Viswanathan, a successful Teacher. We are extremely honored to present an interview of a Woman in such noble profession. Mrs. Rajeswari Viswanathan is a Tamil Nadu State Government Teacher for the past 27 years, more than half of her age she has been teaching. She is the most strong, independent and joyful personality I have ever seen. I have grown up seeing this powerful/ inspirational lady manage her home, work and social-life so eloquently! Today, let’s ask her about her teaching-journey and experiences. I am sure, we would have something new and interesting to learn! Pri: Can you tell a little about yourself? Mrs. Rajeswari: Vanakkam. I am Rajeswari Viswanathan, working as (Tamil Nadu State Government) History Teacher. I am 48 years old and I have completed my 27 years of service in Teaching. After several years of service, I was promoted as Primary School Head Mistress. I worked as HM for 2 years. Once again, I was promoted as BT Teacher (Middle School) and I have completed 10 years serving in Middle School. I am the youngest of seven children of Late Shri. K. P. Raju Gowder (Freedom Fighter) and Late Mrs. Rani Raju. My husband is a retired Central Government Teacher (Taught for Kendriya Vidhalaya). My son, Abhishek, is as a Lieutenant in Indian Navy (Currently placed in Gujarat). My daughter, Abinisha is doing her second year English Literature. Pri: How did you get into teaching? Mrs. Rajeswari: It was totally an accident. When I was doing my 12thstandard, they introduced a scheme in our school, that was called as SGTT- Secondary Grade Teachers Training. I was not too keen about it, but my Head Master almost forced me to join the SGTT scheme. In the beginning, I was uninterested and sad. Later, I felt better about the course. Now, I love my job! All thanks to my respected HM. Pri: What do you love about teaching? Mrs. Rajeswari: My most favorite part of teaching is that I get to spend lots of time with Children. Our School is a Middle School (I-VIII), apart from learning we have lots of fun; Games, Sports, Functions and other Extra-Curricular activities. Pri: What is your teaching philosophy? Mrs. Rajeswari: As a teacher, I like to first study the child, to know the background and the circumstances the child lives/ grows in. Then, teach them good values to mold their personality/ character. Finally, I give importance to studies and teaching. The reason being, our Students come from varied backgrounds. Most of them are from Economically Backward Families and Slum areas. The most important thing is the Teacher-Student relationship. I feel, it should be a combination of Parent-Child and Friends relationship. This is my secret to master students psychology, and my favorite teaching Philosophy. Pri: What were your challenges and struggles during your early days of teaching? How did you overcome obstacles to establish yourself ? Mrs. Rajeswari: Maintaining the classroom students was a big task in my early days. I was appointed as Second Grade Teacher in 1990, on Dec 11th, at the age of 21. I had to control both I and II grades with more than 60 students, at the same time. So, to maintain silence in the classroom I used to talk in high-pitch all the time. I got tired and exhausted very soon. In one or two months, I figured out a way to engage the naughty and distracted students; I gave them responsibilities to channel their energies into something else. Slowly, the control of the classroom came to my hands. Also, It was very challenging to make the Late-bloomers (Dyslexia) students to read and write. These students write the letters and numbers in different patterns / mirror images (For example: they write d for b). I started giving more attention/ importance to these children by giving more and more practice. I believe, I tried my best to help these kids. Some incidents/ students are very peculiar. 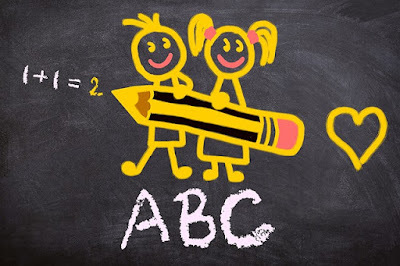 I recall one incident that occurred in my very First School in 1991; One of my students, Sivalosani (I Std), was a normal child but was never ready to hold a pencil itself. I tried hard to convince her, but she refused to hold. I had to take a stern decision to make her hold a pencil so that she could further learn writing. So, I very strictly asserted that she must write, I did not allow her to go until she held the pencil right. Though it was a very pressurized action, at that point, it was very necessary. Had I not put her under pressure that day, she would not have evolved into a student with beautiful handwriting! I encouraged her to write one letter per day on her slate and slowly built her confidence. Gradually, she learned to write and she developed a fantastic hand-writing that I was very much proud of. Likewise, there are so many different characters under the same roof. Pri: Tell about your career in the last ten years. Social Science content based training ALM (Active Learning Methodology). VITAL Training (Value Integrated Teaching and Learning) – Took Training at DIET- Kotagiri and gave training to Block level. I thank GOD, my parents, family members and colleagues for their great support, and my Higher Authorities for recognizing me and giving me this honor. Pri: What do you think should be changed in our education system? Mrs. Rajeswari: “No Detention” system should be the primary change; this will make Children know their responsibilities in studies and perform well. Also, this sense of responsibility would make them shine in all competitive exams. The second change needed is, the periodic-syllabus change to incorporate the real-life implementations and experiences relevant to day to day life. Pri: What would be your advice to young people who aspire to be successful in education field? Mrs. Rajeswari: Teaching is such a gifted job! From the students point-of-view, we are the Superheroes/ Role-models they look up to. So, we need to equip ourselves and keep our knowledge up-to-date. We need to change our teaching methods often to make classes interesting; we could use E-devices, Drama, Field Trips, Elections, Songs, Debate, Quiz, etc… to engage the students in class. We should do something new each day to attract the young-minds so that they would never miss even a single class. It is true that teachers need to prepare well before the class and teach without using books. This makes a huge difference in teaching effectiveness. Pri: What would be your three most important tips for budding teachers? Mrs. Rajeswari: Dedication. Patience. Confidence. Pri: As we just celebrated Women’s Day, what is your opinion on women empowerment? Mrs. Rajeswari: Yes, we are celebrating Women’s Day every year from 1978. 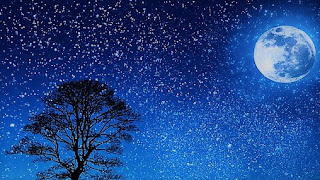 But, it is sad that the motto of the celebration is not fulfilled yet. Even uneducated housewives manage their families in exceptional ways. That’s true empowerment! From Kitchen Garden to Space Garden Women’s contributions are huge. Pri: Do you want to say anything else to our readers? Mrs. Rajeswari: Be proud to be a Woman! I thank the coordinator, Preethi, for giving me the opportunity to meet the readers through this blog-interview. I thank the readers for taking the time to read the interview. I hope my experiences give you some insight or inspiration. I further extend my special thanks to the same interviewer for her well-designed questions. Yes, designing questions is an art too. Keep it up! God bless you! Thank you very much! Pri: It was such a delight interviewing you! I am sure our readers will enjoy your interesting life experiences. There are great lessons and tips to be learned from them. I humbly thank Mrs. Rajeswari for agreeing to give her precious time to the interview. Thank you and we wish you many more years of success and growth as a Teacher! Ode to the Night Sky- Pri. precious and pure, slick and shiny. smiling to adorn the fine creations. from real paradise to sing the praise. 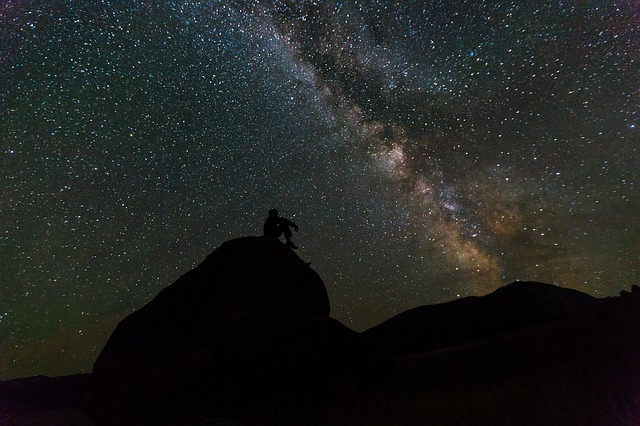 the vast dark screen; delicately divine. The ecstasy livens inert world so silent! Lovely tips Pri! Love to give a try right away. Irregular Periods are a common problem among women.The frequency of a normal menstrual cycle is between 21 to 35 days whereas irregular periods are with more than 35 days. Numerous factors deal with irregular periods like stress, travel, anxiety, anemia, weight loss or gain, diabetes, poor diet, excessive exercise, thyroid or other health disorders. Having a menstrual irregulariy once in a while is not to be concerned much. But when the period exceeds it is better to get back the proper cycle. When such irregularities occur let us take some natural remedies which are rightly available at our home. Peel the ginger and take in a bowl after grating it well. Blend the ginger by adding little amount of water. Wait till all the deposits settle down and pour the water in another bowl. Take a pan and heat a heap of sugar / grated jaggery mildly. Before taking it out from the gas stove, pour the ginger water on it and mix well. Allow it cool well and then drink the Ginger Juice. 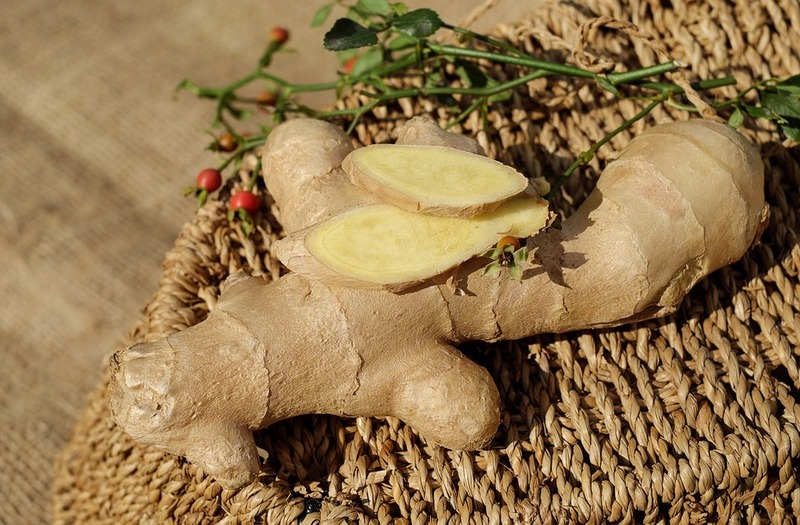 Ginger is enriched with antioxidants and helps in getting the contractions and clears the unwanted deposits in the uterus. Ginger also helps in reducing the menstural cramps and pains. 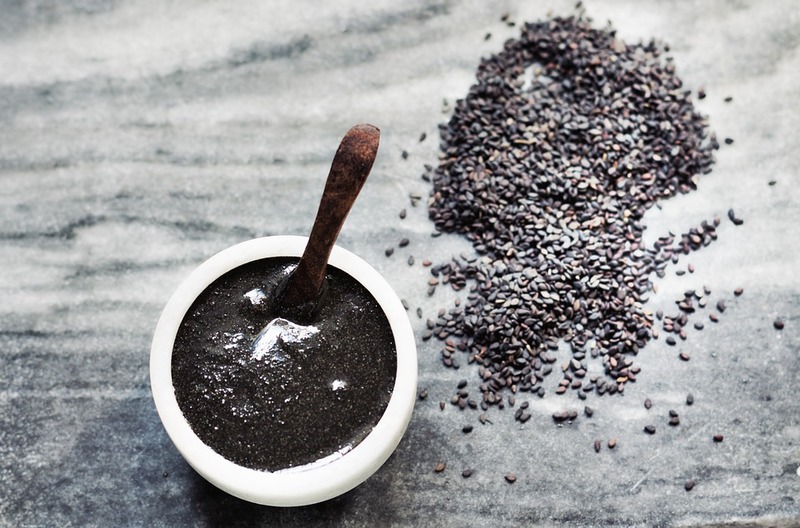 Take a cup of black sesame seeds and fry till it bursts out in a pan. Allow it to cool down after taking it off the stove. Blend the seeds dry and keep it aside. Take 3/4 cup of Jaggery and grate it well. Now blend the powdered black sesame along with the jaggery. Add ghee to the powder and make Black Sesame ladoos. Black Sesame seeds helps in the circulation of blood and with the essential fatty acids they augment optimal hormones. Jaggery is rich in iron content and helps in strengthening the menstrual hormones. These simple and quick natural remedies help in regularizing menstrual cycle and strengthens the uterus creating a balance in our health chart! 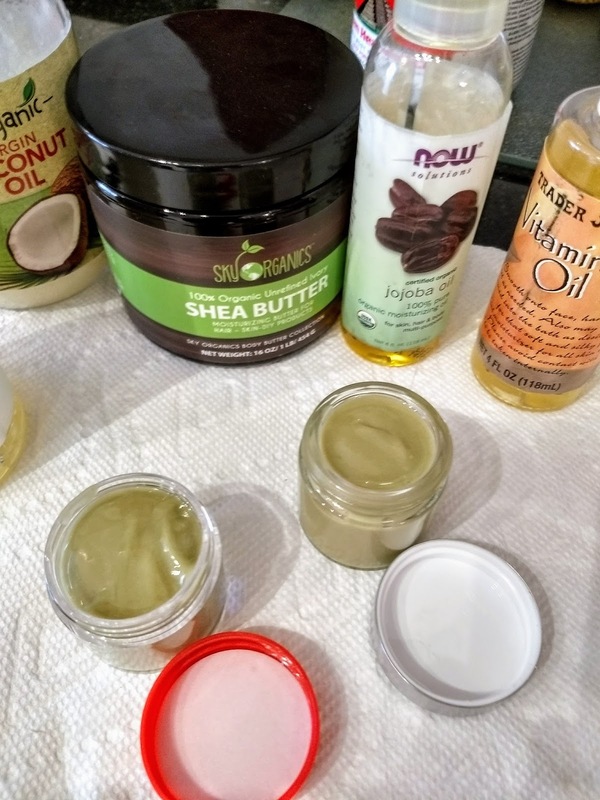 DIY Essential Skincare for Beginners- Pri. Beauty products are booming right now. There are millions of products in the market. However Organic and Natural they claim to be, they always have way too many ingredients in them; half of which, we do not even know to pronounce correctly. There is no way to be sure that the products are a hundred percent trustworthy! You never know what goes into them, during the manufacturing. This very thought makes me paranoid! 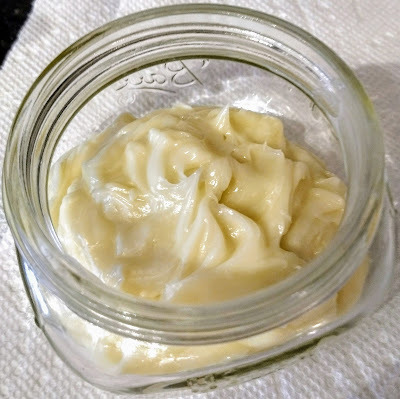 When you make your own products with known, simple and fresh ingredients, you will be amazed at the results you get for the very little effort you put in! It is basically; Dump, Heat and Mix. That's how easy the procedure is! 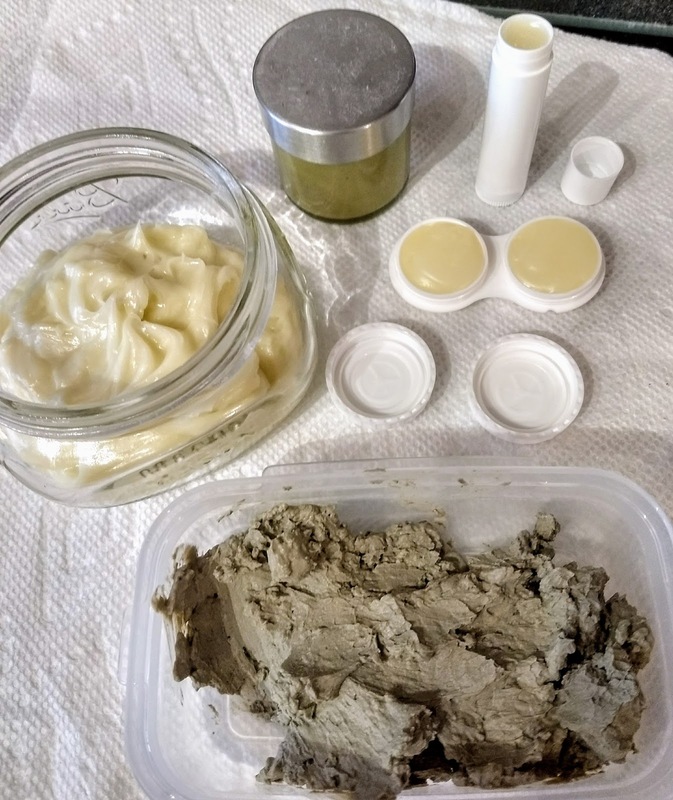 I have been using homemade DIY skincare recipes for a while now, I always get the best results every time. Also, there is a sense of peace when you know what goes into your skin. These recipes are good for any member of the family, from little ones to adults. I am sharing the basic DIY Essential Skincare recipes for beginners. 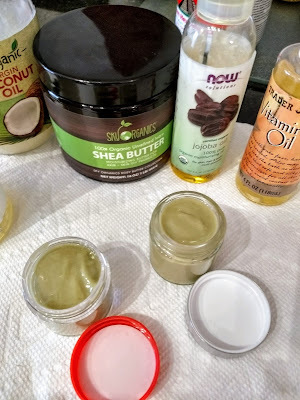 I promise, these products will give you a Spa-experience every time you use them! 1. Mix all the ingredients in a bowl and use filtered water to make a paste. 2. 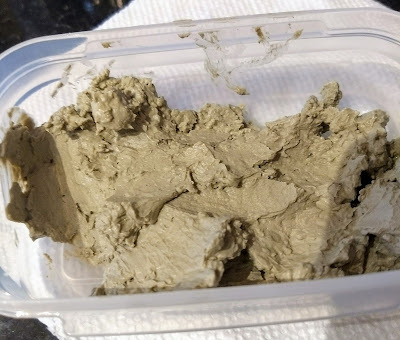 Once the desired consistency is achieved, store it in a dry container. 3. It stores well in refrigerator for a few weeks, if the mask dries-up add water before application. 4. Apply the mask and leave it to dry for about 20 minutes, wash off with warm water. 5. Apply toner and moisturizer to complete the facial routine. Toner 2: Apple Cider Vinegar and Water in (1:4) ratio. Apply using your fingers or using a cotton pad. Gently pat on skin including under eye area. After a couple of minutes, apply face moisturizer. 1. 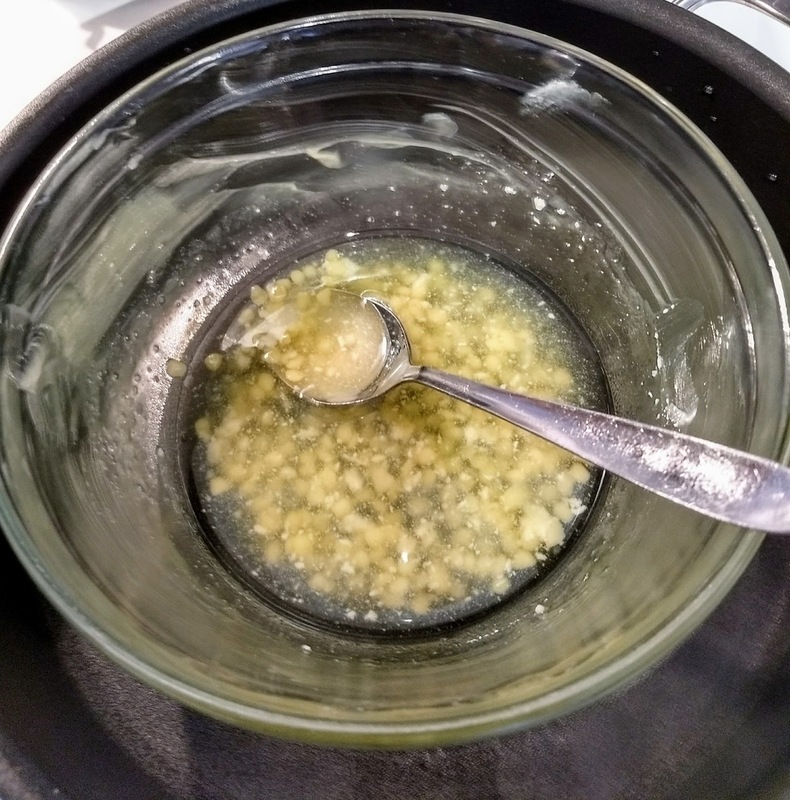 Melt the oils and bees wax in a bowl using the double boiler method. 2. Once the ingredients melt, remove from heat. Add the essential oils and green tea decoction. 3. Allow the mixture to cool a bit and use a hand mixer to blend and whip the mixture. After about five to ten minutes you will see the consistency/ color change; similar to whipped cream with soft peaks. Allow it to cool completely. 4. Store in a clean, dry container. You can reuse recycled cosmetic containers. You can store in the refrigerator for longer life. 5. Use it as a regular moisturizer day and night. 1. Melt the oils, butter and bees wax in a bowl using the double boiler method. 2. Once the ingredients melt, remove from heat. Add the essential oils and aloe Vera gel. 2. Once the ingredients melt, remove from heat and add the essential oils. 3. Allow the mixture to cool a bit and store in a clean, dry container. You can reuse recycled cosmetic containers. 4. 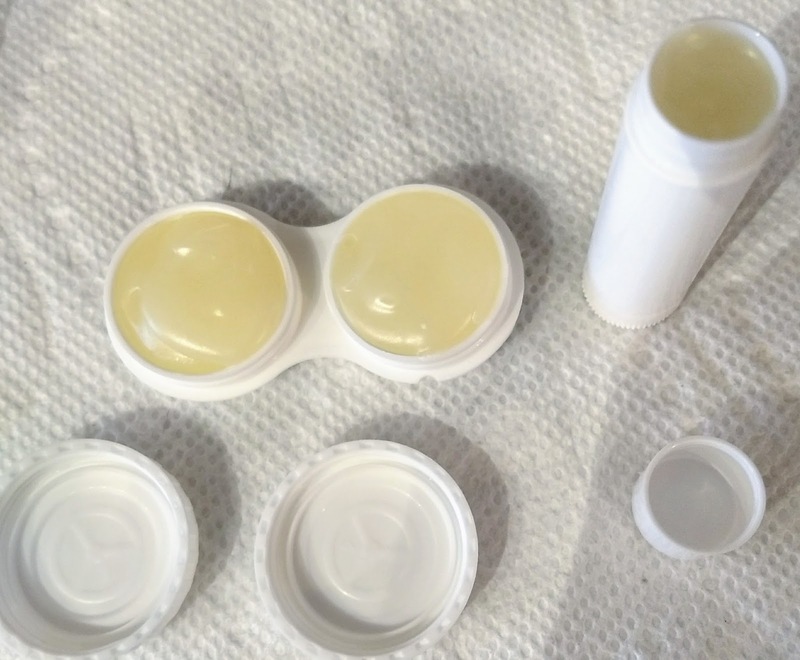 The mixture will harden in a few minutes and you can use the balm right away. Hope you like the DIY recipes. Do let us know if you try any of these. Happy Spa-time!